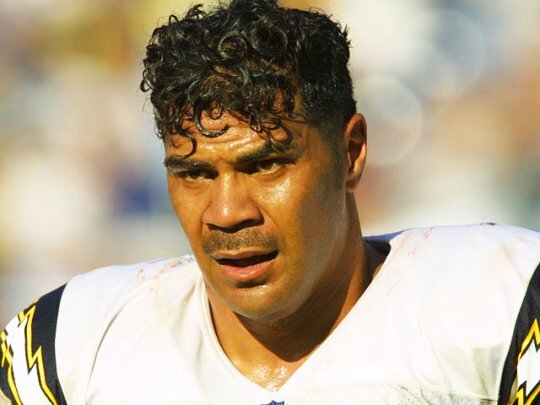 Former National Football League great Junior Seau was found dead today from what early reports are calling a self-inflicted gunshot wound to the chest. If that sounds familiar, it’s because it’s eerily reminiscent to the way another long time NFL player, Dave Duerson, committed suicide. Duerson made sure to shoot himself in the chest to keep his brain intact so it could be tested for chronic traumatic encephalopathy. CTE is brain disorder brought about by repeated concussions and head trauma. While it’s too early to tell if this was Seau’s intention, the circumstances are too similar to ignore. Seau retired in 2009 after a 20 year career, but late in 2010 his life began to take a turn towards the bizarre. In October of ’10, there was a domestic violence charge followed by him driving off a cliff. He was arrested and booked on the charge, but the case was later dropped. And he claims he fell asleep at the wheel while driving. It’s unfortunate that someone that played with such passion for the game, and someone that gave back to the community like Saeu did will now be remembered like this.